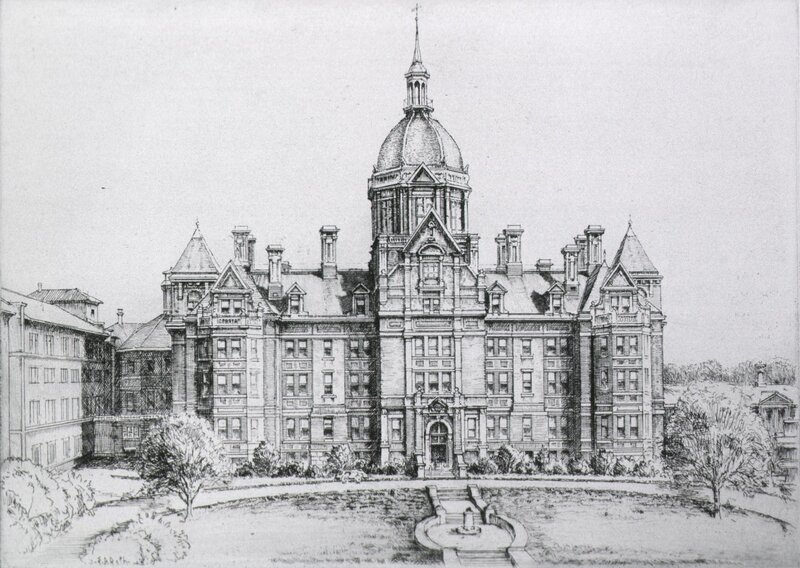 Notes: This, the first institution of the kind south of Phila., was founded 1868 at cor. Liberty and Barnet Sts. ; in 1871 moved to N. Charles St., and since 1878 at 54 Saratoga St.
Notes: EXTRACT FROM ANNUAL REPORT. The Maryland Eye and Ear Infirmary owes it origins to the pressing necessity for an Infirmary especially devoted to the treatment of Eye and Ear Diseases, at a time when there was no provision made for the special treatment of such sufferers in the city of Baltimore. It is therefore the pioneers of its kind, not only in Baltimore, but south of Philadelphia, having been opened to the public on October 1, 1868. The solicitations of Dr. Reuling, the surgeon in charge, to a number of our prominent and charitable citizens, were echoed by a spirit of liberality which gradually aided him in placing the Institution on a permanent basis.Already, at the end of the first year, the Institution had been visited by 1225 patients, who had come from almost every part of the Union for their relief. In the second year the city authorities recognizing its value to the city, granted an annual appropriation for the maintenance of eight free beds for city patients suffering from Eye and Ear Diseases.During the period of the last fifteen years nearly 40,000 eye and ear patients have received treatment, and over one thousand cases of cataract-operations alone have been performed, showing the most favorable statistics of results. Lately the Infirmary has been divided into two departments. The MARYLAND EYE AND EAR INFIRMARY, which is now located at No. 233 East Baltimore street, in the College Building of the Baltimore University, and the MARYLAND EYE AND EAR INSTITUTE FOR PRIVATE PATIENTS, located at No. 79 West Monument street (Mount Vernon Place), which latter location has the advantage that it is the permanent residence of the surgeon in charge. The incorporation of this well-established institution into our Medical School is undoubtedly of very great importance and ever-lasting advantage to our students, in giving to them the most thorough training in acquiring knowledge of those two highly important branches of surgery, the Diseases of the Eye and Ear.